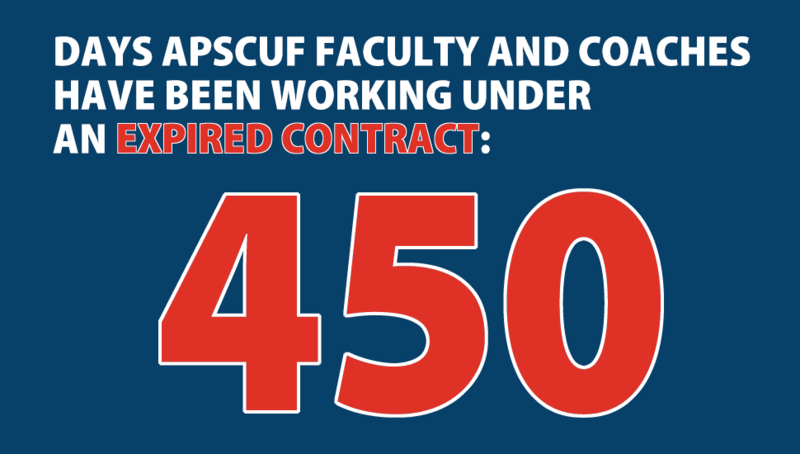 While APSCUF has a right to call a strike, many have reservations—and rightly so—about leaving their students to join the picket line. The good news is, you don’t have to. While you have the legal right to remain in the union, you also have the right to resign your union membership. If you want to remain in the classroom or stay home instead of joining the picket line, you must first properly resign your union membership. If you don’t properly resign before refusing to strike, you can be subject to union discipline—which could affect your career and/or your finances. I’m an attorney with the Fairness Center, a nonprofit, public interest law firm, and I work with public employees and union members. The Fairness Center can serve as a free resource to help you exercise your rights and to protect you should the union try to penalize you for following your conscience. Please email info@fairnesscenter.org or call (844) 293-1001. Thank you for your missive. It is unfortunate to be sure that it contains patent falsehoods and misrepresentations. First, since the vast majority of the voting faculty across PASSHE voted to authorize our union leadership to call a strike, it is plainly false that “many have reservations” about joining a picket line. Indeed, quite the opposite is true. We do have serious reservations—but it’s not about whether or not a strike is the right and necessary action to take. It’s about the unfairness of a contract that, if enacted, will undermine the high quality of education we currently provide our students, further entrench the second class citizen status of temporary faculty, and continue the ideologically motivated effort to stamp out public sector unions. Make no mistake, my colleagues and I fully understand the objective of this cynical effort to manipulate PASSHE professors and coaches. But truth be told, your missive betrays the fact that you recognize the strength of our resolve to achieve a genuinely fair contract. You’d otherwise surely not have resorted to claims so demonstrably false. Second, it is a patent falsehood to suggest that APSCUF or any APSCUF member would behave in any retaliatory fashion should a professor cross a picket line. To suggest this is little more than a very thinly veiled strategy to coerce or tacitly threaten APSCUF members into resigning, an effort to manipulate that is, well, shameful—but hardly surprising given the Fairness Center’s ideological goals. Few if any faculty across the fourteen schools will cross that line. But this isn’t because we're afraid of our fellows; it’s because we all know what a fair contract looks like. We all care deeply about our students and the missions of our universities to contribute to the educations of thinking citizens across the Commonwealth. We also recognize a divide and conquer strategy when we see one. The Fairness Center is neither a public interest law firm nor is it interested in fairness. It is an organization devoted to public sector union-busting, plain and simple, a fact that makes the appeal to conscience all the more ironic. After all, it’s very clear wherein the appeal to conscience lay—and it’s not with those who’d seek to manipulate and coerce union members into resigning from the very organization that defends our best interests and those of the students we serve. So—thanks for the “no strike” offer—but I think I’ll stand with my colleagues and my students. To be very clear, the major issues preventing a resolution of the APSCUF contract dispute are not--as no doubt Mr. Osborne would have us think--about salary and benefits. They're ideological--and would have an enormous and damaging effect on the quality and breadth of educational opportunities for PASSHE (Pennsylvania State System of Higher Education) students. Cut the lowest-paid faculty members’ salaries by 20 percent. It takes no degree in nuclear physics to see how damaging these proposals would be if they became enacted--especially across the entire 14 universities of the PASSHE system. As someone put it to me long ago, the PASSHE mission foresees Pennsylvania's private universities as the playgrounds of the children of the wealthy--and the PASSHE schools as the training centers and public relations firms for their future employees. PS: Where DID Mr. Osborne of the Fairness Center get the names of APSCUF faculty members?